DirectRemit is an innovative and effective money remittance product by Emirates NBD, one of the leading banks in the UAE. Through DirectRemit, customers can send money to their country, within 60 seconds, for free, at the best exchange rates, from the convenience of a smartphone or a personal computer, wherever and whenever. It is currently operational in India, Pakistan, Sri Lanka, Philippines and Egypt. Given the high percentage of expatriates in the UAE, this product is very relevant. After data analytics by the agency into money remittance habits to India, Pakistan, Sri Lanka, Philippines and Egypt and ascertaining reasons why each nationality sent money home, 5 unique real-life stories were crafted to share the convenience benefit of the product. 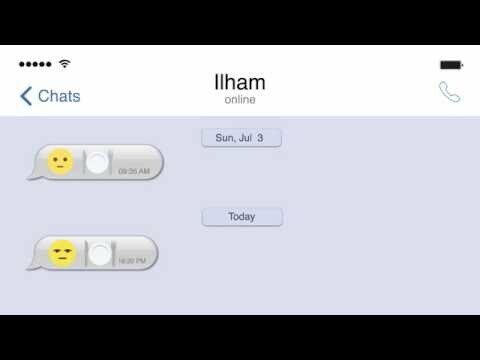 And to highlight the truth that sending money with Emirates NBD DirectRemit was as easy and instant as sending instant messages, the vehicle chosen was that of ‘Emojis’ - a common 'language' in instant messaging across the 5 different nationalities – creating a purposeful role for emojis in the story and a relevant connection to the product. The campaign is currently being scaled out through 5 films, on-ground and Facebook activations (emoji story competitions) as well as other social content formats that are being promoted through nationality and behavior-based targeting on Facebook, Instagram, Twitter, Snapchat, Vine and other web platforms relevant to the 5 nationalities.